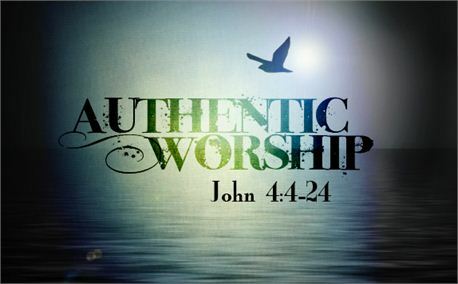 Worship at the Well: a closer look at John 4:1–30, Part 2From series The Woman at the Well. This article talks about worship, evangelism, truth, compassion, spirit, equality, bible study, radical worship, inclusion. ‘Believe me, woman, a time is coming when you will worship the Father neither on this mountain nor in Jerusalem… God is spirit, and his worshippers must worship in spirit and in truth’. Jesus was teaching the importance of attitude rather than location here, and of the Spirit as well as truth. Sadly, throughout church history, one has often been emphasised more than the other but it is vital to retain a balance. I also think that in the West we can get caught up in our ‘worship culture’, and it can become more about following a popular worship leader or singing the most up-to-date songs rather than focusing on Jesus. Isn’t it amazing how easily we can move away from the heart of worship, distracted by secondary things?! ‘Come, see a man who told me everything I ever did. Could this be the Christ?’ (verse 29). The disciples, on the other hand, we are told are surprised he had been talking to the woman. They were probably a little disgruntled too, but none of them said anything. No doubt they had learned that Jesus’ ways were unusual and often unfathomable to them! But how often do we turn away from people who really need a touch from God? The ones that take extra ‘digging’ as it were, to reach their real needs? As his instruments on this earth it is our responsibility to reach out to all those he wants us to, not shying away from those society may deem ‘undesirable’. What a challenge – but what a mission too! Check out the discussion panel (on the right hand side of this page), or click on this link, for some discussion questions.